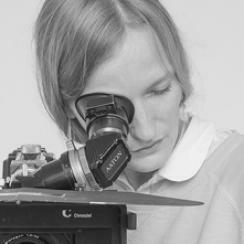 Jonna KINA (1984, Finland) is a multidisciplinary artist who works with photography, video, sound and text. She graduated from the Finnish Academy of Arts and from Aalto University, School of Arts, department of photography. She has also studied in the School of Visual Arts, New York and in Bezalel Academy of Art and Design, Jerusalem. Kina’s works has been widely presented in numerous solo and group exhibitions. Her film Arr. for a Scene (2017) was selected by Nordisk Panorama as the Best Nordic Short Film. A documentary about two foley artists who provided the sound effects for one of the most legendary scenes in cinema history: the shower scene in Alfred Hitchcock’s Psycho (1960).